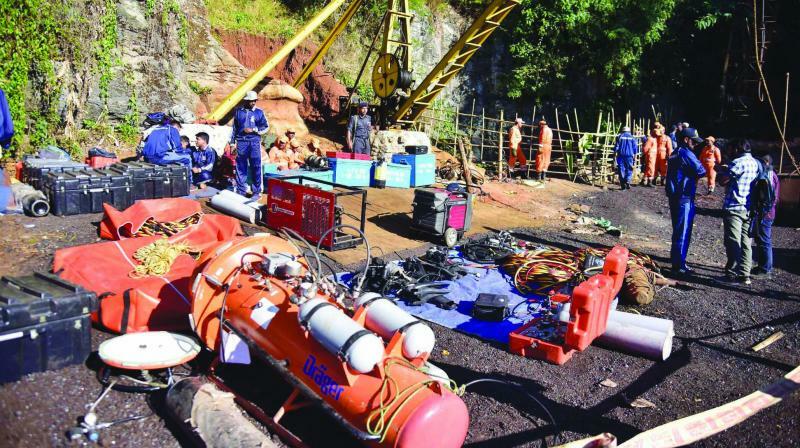 Why no reports on result of mining workers trapped in mines in from Meghalaya in operation to rescue 15 miners trapped in a 370-feet deep illegal mine in the Lumthari village. National Green Tribunal thus propelled to call for action on this national disasterate. A month after 15 miners were trapped in a coal mine, search operations for which is still underway, a three-member committee of the National Green Tribunal has asked the Meghalaya Police to investigate into nearly 1200 cases of illegal quarrying across the state. The three-member NGT committee, constituted in August last year, is currently studying the environmental aspects of rat-hole mining in the state. An official said the police have been told that their probe should reach a logical conclusion after taking into account all 1200 cases of illegal rat-hole mining in East Garo Hills, South-West Khasi Hills and West and East Jaintia Hills districts.